While I've kept plot details for the third season to a minimum, please be aware that there are some major spoilers for the show's first and second seasons. Audio Commentaries: 12 commentaries with cast and crew including David Benioff, D.B. Weiss, George R.R. Martin, Lena Headey, Emilia Clarke, Michelle Fairley, Kit Harington, Richard Madden and more. 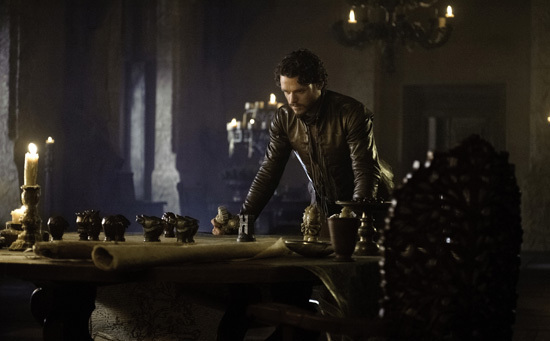 Jaime's storyline is perhaps the most representative of this phenomenon, and Nikolaj Coster-Waldau turns in an amazing performance, shedding an entirely new light on the infamous "Kingslayer." His gradual path toward possible redemption is by far one of the show's most fascinating and effective arcs (and this is a show full of engaging arcs), and one specific scene where the battered man recounts his actions during the Sack of Kings Landing is simply mesmerizing. Every character is full of such incredible depth, that many quiet, confessional sequences like this end up being more memorable and affecting that any battle scene could ever hope to be. As enraptured as I am by the series, season three still isn't quite "perfect." Bran's storyline feels a bit undercooked, Theon's unsettling arc is a little extraneous, and though the finale is relatively satisfying, there is still a nagging feeling that we have only finished half of a book in an even larger ongoing tale. With that said, as far as TV goes, 'Game of Thrones' continues to be a nearly peerless example of storytelling art and a monumental feat of small screen production design, and if this season is any indication, the show seems to be only improving as it continues to develop its rich, exciting, magical, and utterly heartbreaking world. And as overwhelming as this year's revelations have been, one gets a sense that even more triumphs and losses are lurking just around the corner. 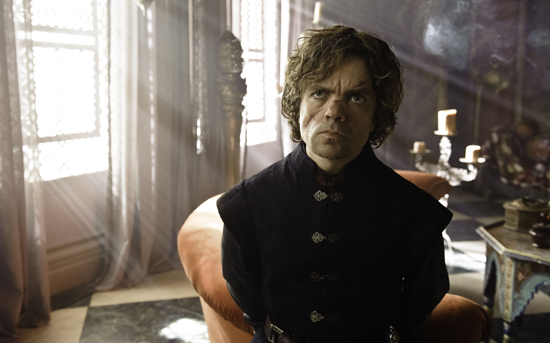 Season four premieres on April 6, and viewers should likely start preparing themselves now. Winter is coming once again, and I have a sneaking suspicion that the cold night will be dark and full of terrors. 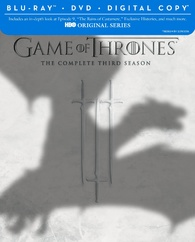 HBO presents 'Game of Thrones: The Complete Third Season' in a Blu-ray/DVD/Digital Copy Combo pack. While the version being reviewed here is the standard variant, different retailers are offering their own exclusive sets with various packaging flourishes, extras, and bonus discs. For a rundown of the different retail options compiled by the "Blu-ray Retailer Exclusives Blog," click here. Five BD-50 discs are housed together in an attractive foldout case that comes packaged in a sturdy outer case with a cool transparent plastic slipcover that bears the shadow of a dragon. It should be noted, however, that my review copy featured a packaging error that resulted in two copies of disc 2 and no copy of disc 1. Thankfully, HBO was very quick to correct the issue, but it's possible that some retail copies could have this mistake as well. A separate foldout sleeve with two DVDs containing the episodes in standard definition is also included. Instructions for a digital copy, and an insert with episode details that folds out into a poster of the Red Keep are featured as well. After some warnings and logos, the discs transition to standard menus. The packaging indicates that the release is region A coded. The series is presented with English DTS-HD Master Audio 5.1 mixes, along with a few additional foreign language tracks and subtitle options. Every bit as immersive, nuanced, and impeccably designed as previous seasons, the mixes here are among the best the Blu-ray medium has to offer -- from TV or film. For those who have read my past 'Game of Thrones' reviews, I fear I may simply be repeating myself here, as all of my previous praise from the last two seasons applies to these episodes as well. Everything about the sound design is exemplary, working in tandem to create an organic, natural world full of texture, subtlety, and grandeur. Speech is clear and precise, giving every quotable insight ample presence, and while the cast does have a tendency to whisper certain lines, most of the important bits are balanced well. The soundstage is wide, spacious, and completely enveloping. Every location is full of different layers of effects that cascades sounds far off into the unseen background and edges of the frame with seamless imaging, panning, and surround activity. 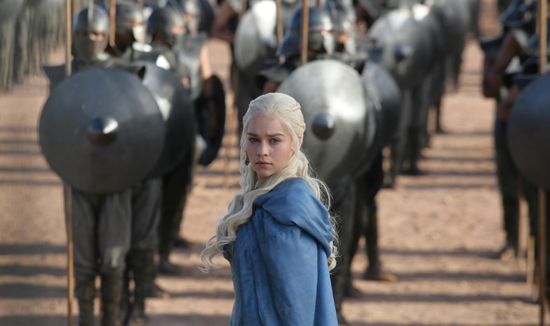 Galloping horses, piercing blades, screeching dragons, crashing waves, flying arrows, and howling wolves all boom from the speakers with crisp fidelity and precise directionality, fully encompassing the audience in Westeros' varied landscapes and characters with a wide range of clean high frequencies and deep lows. Flawless and absolutely reference quality, season three of 'Game of Thrones' once again arrives on Blu-ray with a 5-star audio mix. It really doesn't get much better than this. Like the previous season releases, HBO has put together an absolutely exceptional and comprehensive collection of supplements, including twelve commentaries, a fantastic behind-the-scenes documentary on episode nine, and an exhausting look at the series' history and lore. All of the extras are presented in 1080i with DTS sound and the same subtitle options as the show (unless noted otherwise). 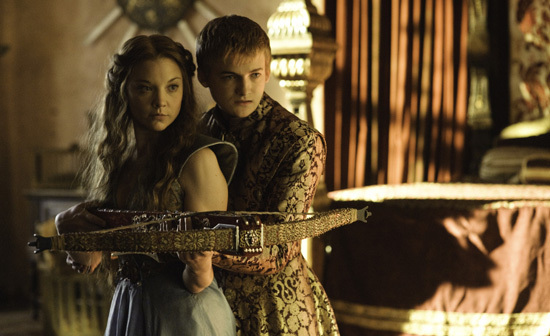 'Game of Thrones: The Complete Third Season' is an example of television storytelling at its absolute best. With peerless production design, fantastic performances, exceptional writing, and incredible direction, the series easily remains one of the best shows on TV. HBO has once again delivered a top-tier release with demo worthy video and sound, and a comprehensive collection of interesting supplements that fill out the show's already expansive world. I don't want to sound like a broken record, but this set is every bit as impressive as the series' previous collections. Once again, this release is a true must own!